SAN SALVADOR, Dec 21 2017 (IPS) - The countries of Central America are striving to define a plan to promote the sustainable use of water, a crucial need in a region that is already suffering the impacts of climate change. This effort has materialised in Central America’s Water Agenda, the draft of which was agreed in November, in Tegucigalpa, by the governments of Belize, Costa Rica, El Salvador, Guatemala, Honduras, Nicaragua and Panama, along with the Spanish-speaking Caribbean nation the Dominican Republic. These countries form part of the Central American Integration System (SICA), the economic and political organisation of Central American countries, since December 1991, where they are working to address the issue of water with a regional and sustainable perspective. The document is expected to be approved at a regional meeting to be held in February in Santo Domingo, according to Central American officials and experts interviewed by IPS. “We saw that it was convenient for us to work on a plan, a sort of agenda, that would give expression to the issue of the integral management of the resource,” Salvador Nieto, executive director of the Central American Commission for Environment and Development (CCAD), told IPS. This is the SICA agency made up of the environment ministers of the eight countries, focused on coordinating efforts to collectively preserve the region’s ecosystems. And water is a vitally important issue for the 50.6 million Central Americans, especially farmers who have lost their crops due to a lack or excess of rainfall, as a result of climate change. “All the studies recognise the vulnerability of the region, and point out that the most severe impacts of climate change for Central America will be because of the water issue,” Nieto added. He said that although reports show that there will be intense storms, they also warn that in the medium term the main problem will be a shortage of water throughout the region. In 2014, drought caused some 650 million dollars in losses in agriculture, hydroelectric power generation and drinking water, according to the study Situation of Water Resources in Central America: Towards Integrated Management, published in March by the Global Water Partnership (GWP). However, the region has good water availability, because Central American countries use less than 10 percent of their available resources, points out the August edition of Entre-aguas, a report by the regional office of the GWP, an international network of organisations involved in the question of the management of water resources. The problem, the report says, is the irregular temporal and geographical distribution of precipitation, and the scarce mechanisms of water storage and regulation. That limits an optimal and efficient use of water, which leads to basins with problems of water scarcity in the dry season. The GWP report adds that, due to the high climate variability associated with climate change, the concentration of rainfall in certain regions or in certain periods and droughts in others, affects the quantity and quality of water available. 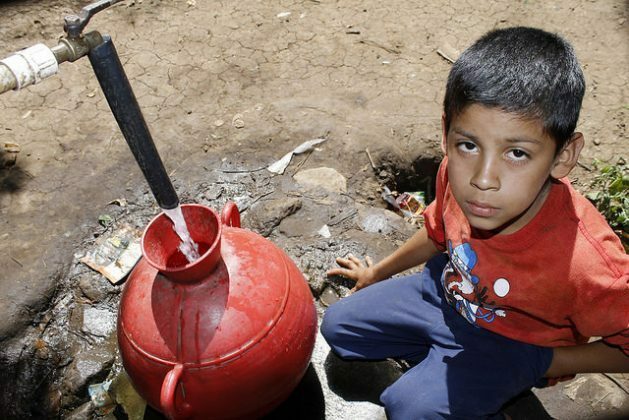 In 2014, 17 percent of Central America’s total population, some 7.8 million people, did not have drinking water in their homes, according to the World Bank. In this sense, the Agenda seeks to ensure water availability for present and future generations, but also to establish actions to face extreme climate events. This situation in Central America, a region constantly affected by climate phenomena, convinced the political elites to take action not only in their countries, but at a regional level. For example, droughts “generate more political will (in the governments of the region) to promote these instruments, and to reach agreements in presidential summits to draft a work agenda,” the executive secretary of the GWP for Central America, Fabiola Tábora, told IPS. The GWP has been working with the CCAD to promote the strengthening of governance of water resources in Central America. “In the region there has been no political instrument to establish a common agenda on water issues, which is why this effort has been made: to generate a space for coordination among the environment ministers, who are responsible for the management of water,” Tábora said, from the GWP regional office in Tegucigalpa. The Agenda emerges from the effort to establish integrated management of water resources, one of the objectives contained in the CCAD Regional Environmental Framework Strategy, approved in February 2015 by the environment ministers of the region. This integrated management, from which the Agenda arises, contemplates addressing key areas, such as the promotion of governance systems for the sustainable use of water, which involves actions, for example, to generate and share data and experiences regarding the problems involving water. “The development of knowledge about water resources is through research, monitoring, or establishing measuring stations and sharing information, a recurrent need in all the countries of Central America,” José Miguel Zeledón, water director in Costa Rica’s Environment and Energy Ministry, told IPS. Another strategic area is the development of instruments for the integrated management of international water bodies, which involves the promotion of a political dialogue at the highest level on protocols, agreements or successful model agreements on the subject. 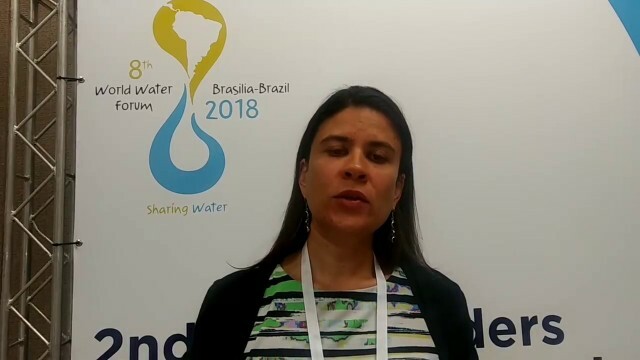 “The implementation of the Agenda would bring benefits because many communities with water problems are in shared or transboundary basins, and that is why a main focus is to work on the question of international water bodies,” Silvia Larios, an expert on water in El Salvador’s Environment Ministry, told IPS. Of the river basins in Central America, 23 are transboundary, covering approximately 191,449 square km (37 percent of the Central American territory), and the region has 18 transboundary aquifer systems, according to the GWP. The GWP also emphasises the importance of promoting technology exchange, as there are communities that cannot be supplied with traditional systems, or cannot properly manage their wastewater, but will have to look for other technical options. Larios stressed that the Agenda seeks both to reduce conflicts over the use of water resources and to guarantee availability. She also recognises access to water as a human right, to guarantee the supply to communities. The GWP’s Tábora said that Central America has made progress in water coverage and infrastructure development, but that there is still a gap between rural and urban areas. “Rural areas continue to be but on the back burner,” she said. Of Central America’s total population, 58 percent lives in urban areas, according to the GWP study. Also, added Tábora, water quality has been neglected, both in cities and in rural areas. Addressing the challenges related to water, she said, necessitates an understanding that solutions have inherent political actions, such as the enactment of water laws, given that the resource is linked to economic interests. To set the Agenda into motion, its operational plan has yet to be implemented, alliances have to be built with various organisations and its funding must be organised and managed by the regional cooperation mechanisms.